Hirano Katsuyuki has worked on several game titles and is probably best known at this point for his work on Record of Agarest War. But he's also the artist behind BLAZING SOULS, Steady x Study, Spectral Souls, and more. 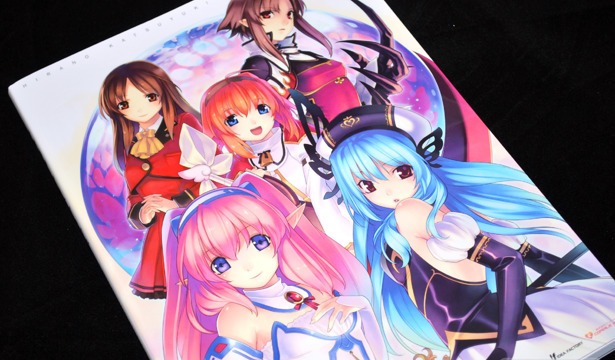 Hirano Katsuyuki Art Works includes art work from all of the above and still has room to delve into Katsuyuki's light novel illustrations as well. It's an impressive collection, focusing on his years of commercial art works.